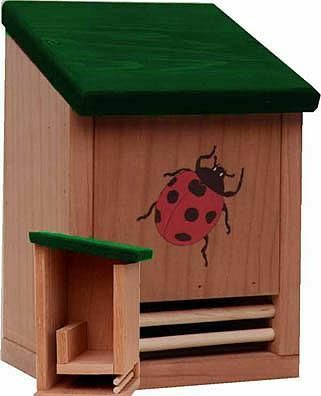 The ladybug habitation box has a special built-in mulch tray which serves as a hatchery for ladybug larva. Ladybugs will rid your garden of plant-destroying aphids. Our Ladybug House measures 6" x 7.25" x 10.75". Proudly made in the USA.